Image Comics is pleased to announce participation in Free Comic Book Day 2016 with the fun, vibrant, all-ages titles—ODDLY NORMAL and Man of Action’s CAMP MIDNIGHT. Free Comic Book Day will take place Saturday, May 7th, 2016 at participating comic book shops worldwide. CAMP MIDNIGHT will be the Gold Level free comic book from Image Comics and ODDLY NORMAL will be the Silver Level free comic book. 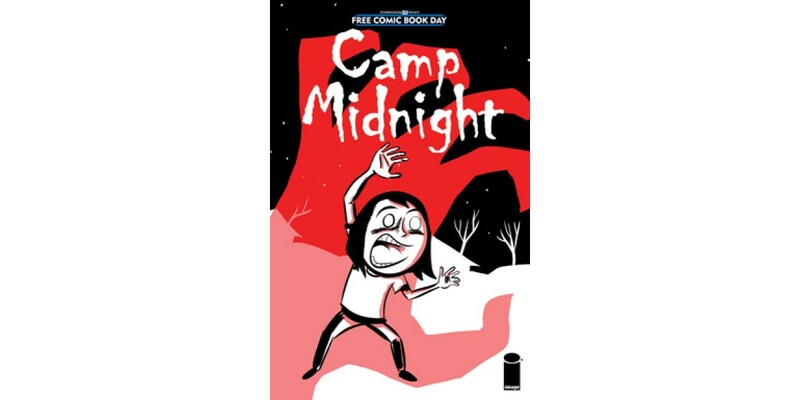 Add a touch of spooky to your Free Comic Book Day this year with the first chapter of Ben 10 and Big Hero 6 creator Steven T. Seagle and New Yorker Magazine cartoonist Jason Adam Katzenstein's CAMP MIDNIGHT! Not wanting to please her "step monster," reluctant Skye is dead-set on not fitting in. But when she's accidentally sent to the wrong summer camp - Camp Midnight, where everyone attending is a full-fledged monster—Skye realizes that not fitting in will be the very least of her challenges! Camp Midnight is the perfect book for readers who love Raina Telgemeier's Smile but wish it had more bowls of gooey eyeballs in the lunch scenes. From the Man of Action imprint on Image Comics. Explore Otis Frampton’s magical land of Fignation this Free Comic Book Day with Oddly Normal, a ten-year-old girl with pointed ears and green hair—a half-witch who will be the first to tell you that being a little different doesn't make it easy to make friends at school! On her 10th birthday, Oddly blows out her cake's candles and makes a disastrous wish. Now, she must travel to Fignation to uncover the mystery of her parents' disappearance. Join beloved cartoonist Otis Frampton and the delightful Oddly as she navigates a strange new school, monstrous bullies, and Evil itself on an unforgettable fantasy adventure through this vibrant world!